It's my favorite day of each month! I love getting to see your creativity unleashed--I'm inspired by all of you every month! Thanks for coming by to link up. I get so excited each time I see a new link! If this is your first Pinterest Party with us, go ahead and check out our Pinterest Party Page for additional information. This month, I'm sharing some of my favorite recipe pins with you. It's been a great month of yummy food in this house! We love having friends come over for dinner, and I also find a lot of joy in trying new dessert recipes to make for our Bible study group every week. What did we do before Pinterest?!? Oh! Be still my heart. These are so incredibly delicious. Graham cracker on the bottom, chocolate-chip-marshmallow cookie, and a bar of chocolate on top. Can it get any better than that? Plus, these make enough to feed a camp full of kids. It took me three or four batches in my 9x13 pan to bake all of these. I might cut the recipe in half next time unless I really want to gain another 10 pounds. Another day this month, I made a take on Ree's Cajun Chicken Pasta. This was scrumptious. I was partially sad to send the leftovers to work with my Handsome Man the next day. Pretty sure I could turn this into a weekly meal. But, the whole time I was eating it, I was also thinking about how delicious this could be with shrimp. So...that's on the to-do list. I'll share it with you once I've made it! But now it's your turn! What have you made this month? I can't wait to see!!! Please remember to include this button in your post so that others know where to join in the fun! 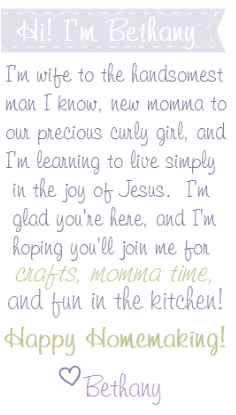 Interested in co-hosting a Pinterest Party with me in the future? 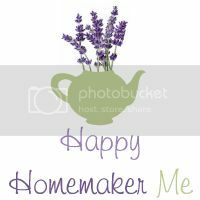 Beginning next month, I'll be opening Happy Homemaker Me's monthly Pinterest Party to guest sponsors each month. Don't worry, there's no financial sponsorship involved! If you are interested in sharing information about my Pinterest Party with your followers and would like to team up with me one month to co-host, let me know! Thanks for hosting! Those smores bars looked yummy! !